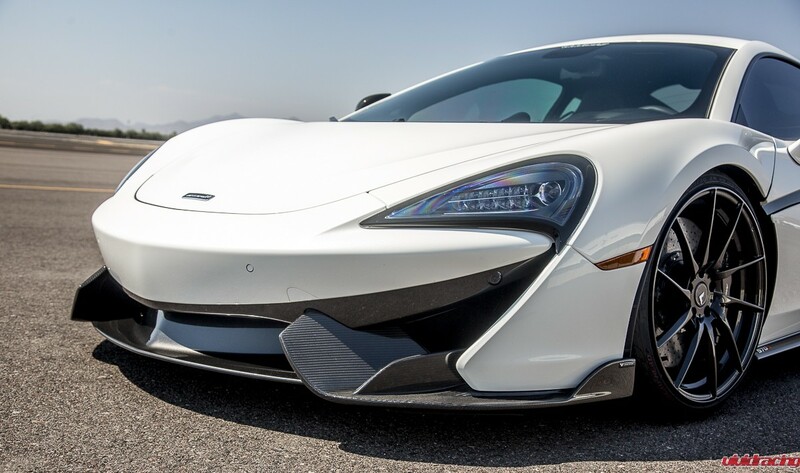 When the McLaren 570S came out, Vorsteiner was first on the scene with their duck tail spoiler and front lip splitters. 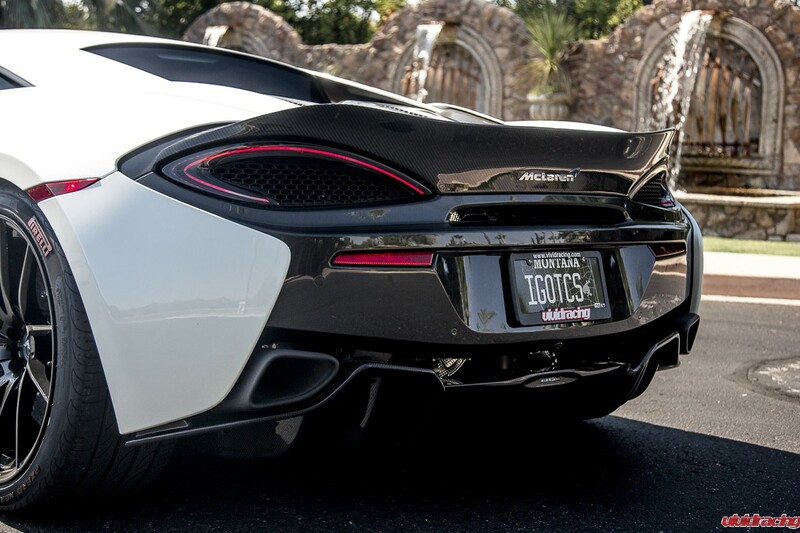 Already having our Agency Power rear GT4 style spoiler, we wanted to showoff the smooth wingless lines that the 570 offers for this photoshoot. 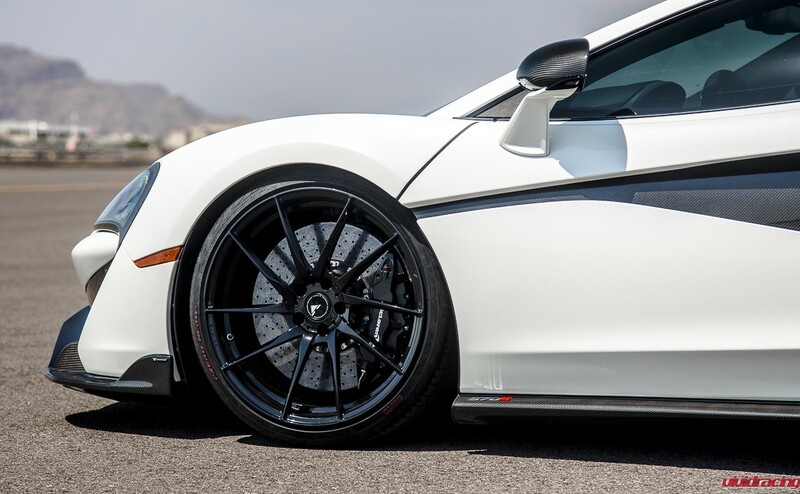 This iteration is all Vorsteiner showing off their 20/21 inch forged wheels and carbon aero parts. 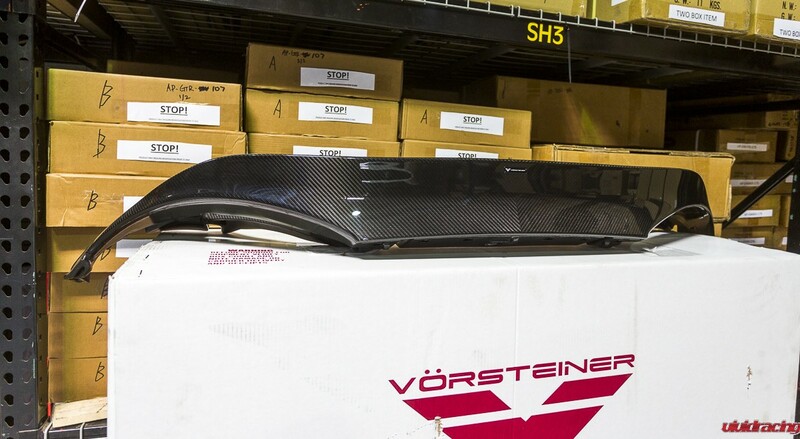 Developed in the Vorsteiner design studio in California, the rear spoiler is a work of art. One would think it is just an add-on piece to go over the stock part. Double sided tape and boom you have carbon. But not this piece! 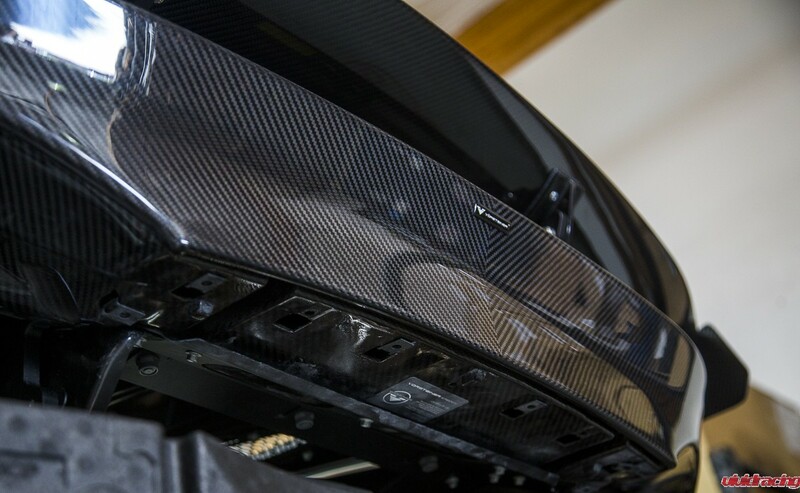 It is an entire replacement part in full dual sided carbon to match the factory carbon fiber OEM parts to the T! The install is a little comprehensive but the part is well worth it. 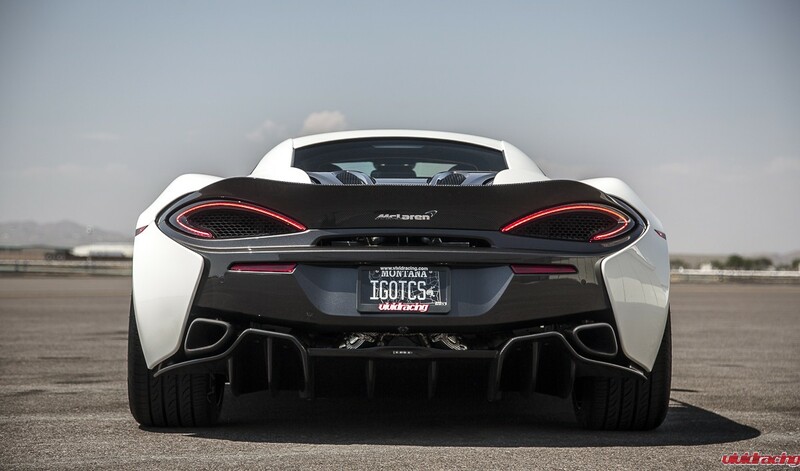 Wingless, the rear looks amazing with that added “swoop” to the back. The piece fits brilliantly between the stock quarter panels, engine lid, and tail lights. 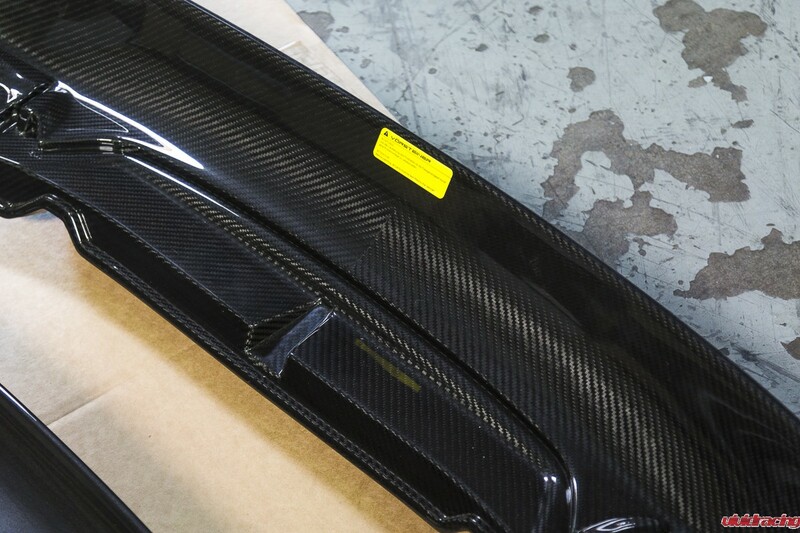 You can see the side by side photo with the stock unit to show how intense the carbon work must be to create this part. The front splitters are from another planet! 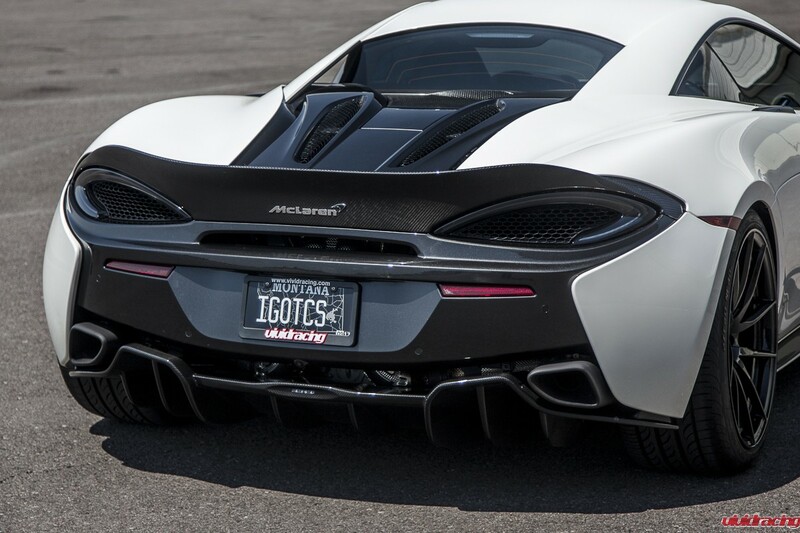 Its as if Vorsteiner knows what McLaren is going to do before McLaren. 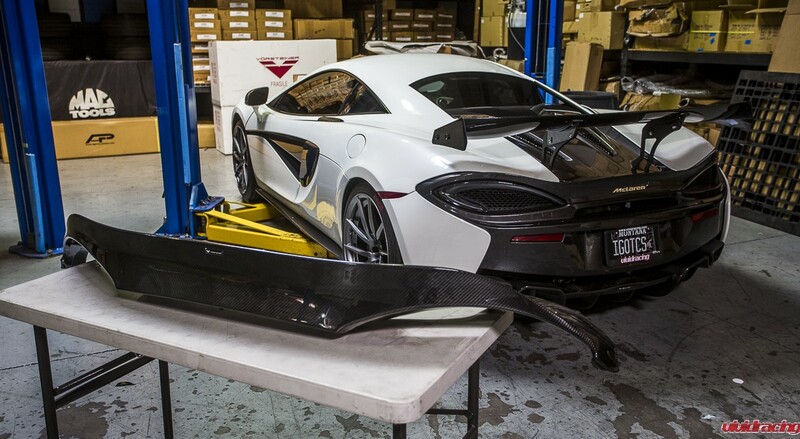 Their MP4-12C bumper we had on our Project 12C was out well before the 650s. 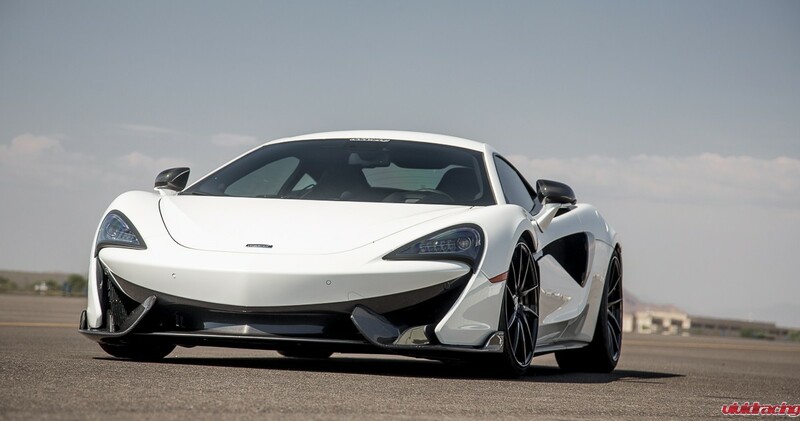 Its as if the 650S styling came from Vorsteiner. 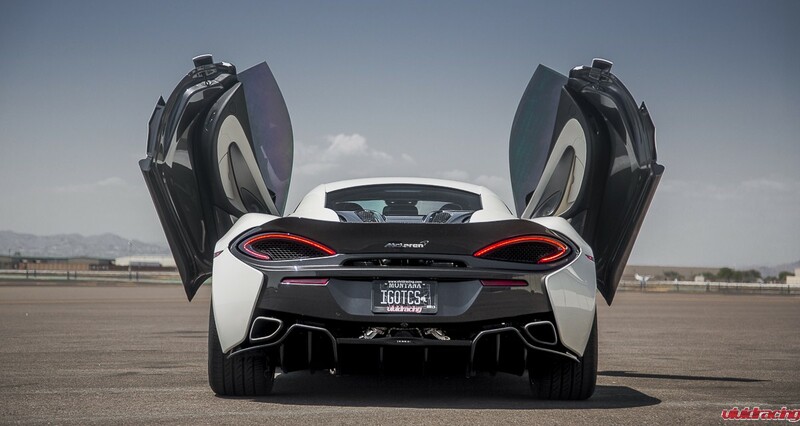 The splitters for the 570S are great for those that don’t have the factory carbon or even those that want to upgrade. 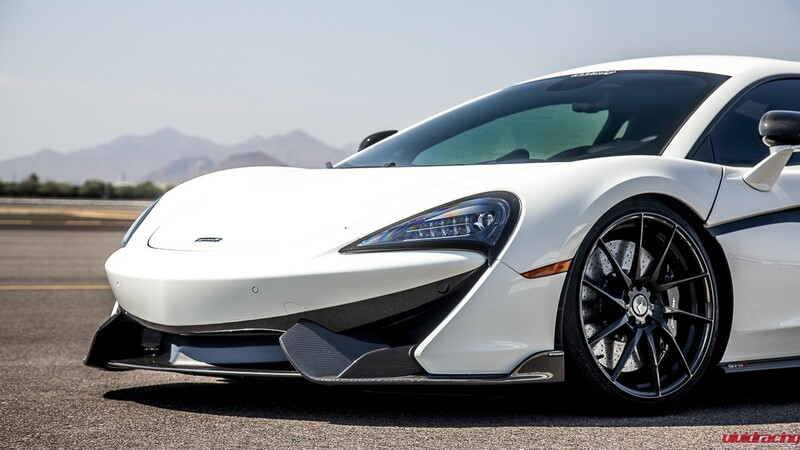 They are aggressive and look mean as if they were pulled from the 570 GT4 race car that made love to a 675LT. 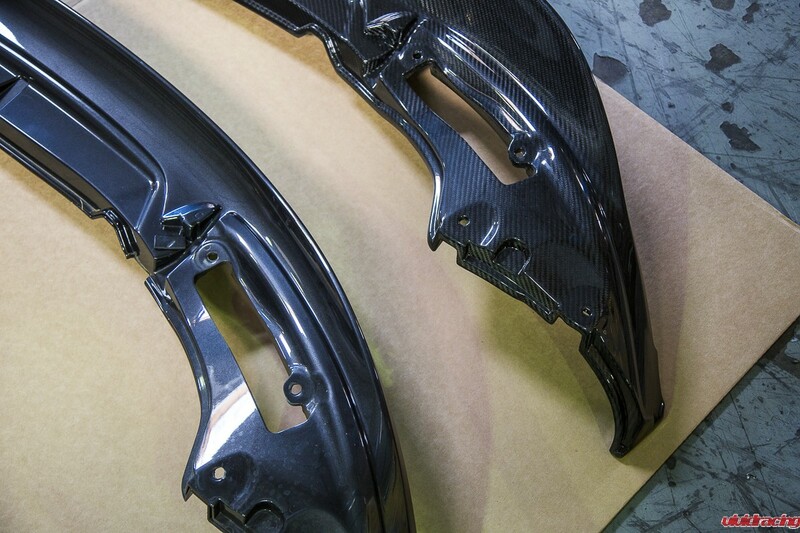 The OEM fit and finish is outstanding and they are not to difficult to replace. You can swap these on the front bumper as they are held in with tabs. 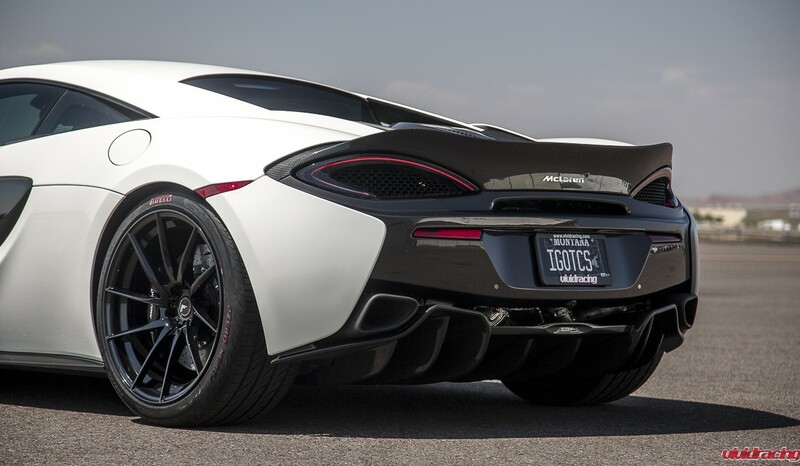 Because our car is lowered with the Agency Power Springs for the 570S, we made some underside aluminum skid plates. 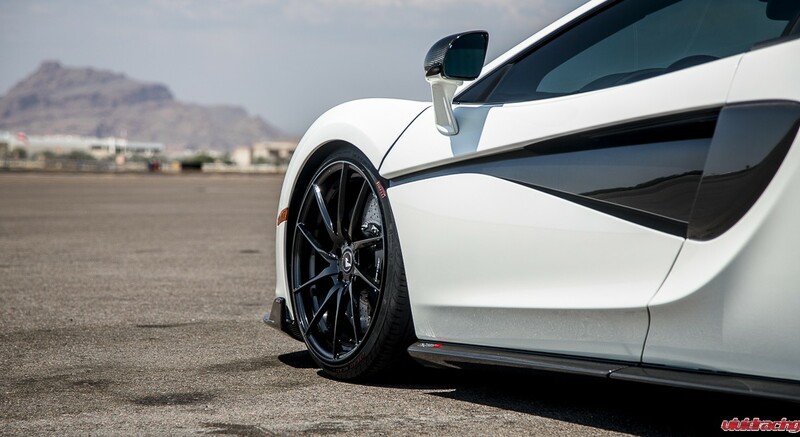 The front to the rear carbon flows great with the factory carbon side panels and lower skirts. The final upgrade for this photoshoot is the Vorsteiner Nero 509 wheels. The fully forged 1 piece monoblock wheels are done in a 20×9 and 20×11 that feature a slightly more aggressive offset than stock so you don’t have any rubbing issues. The wheels were finished in a tasteful gloss black to go with the carbon accents and two tone interior. 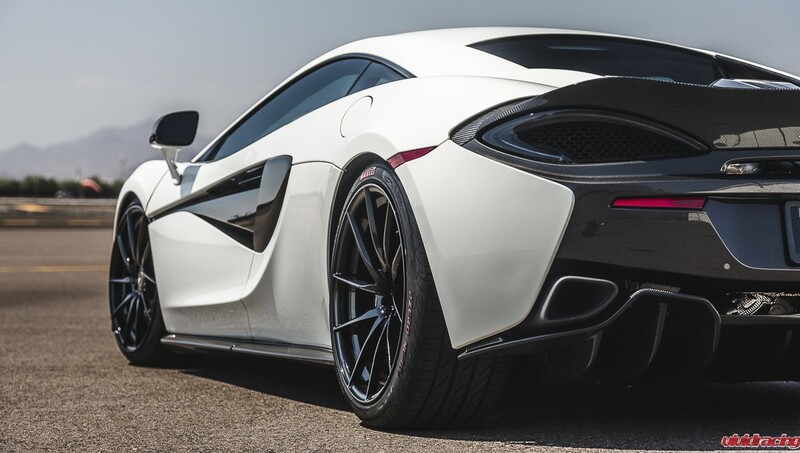 Wrapping the wheels is a set of Pirelli P Zero tires in a 245/35/20 and a 305/25/21. 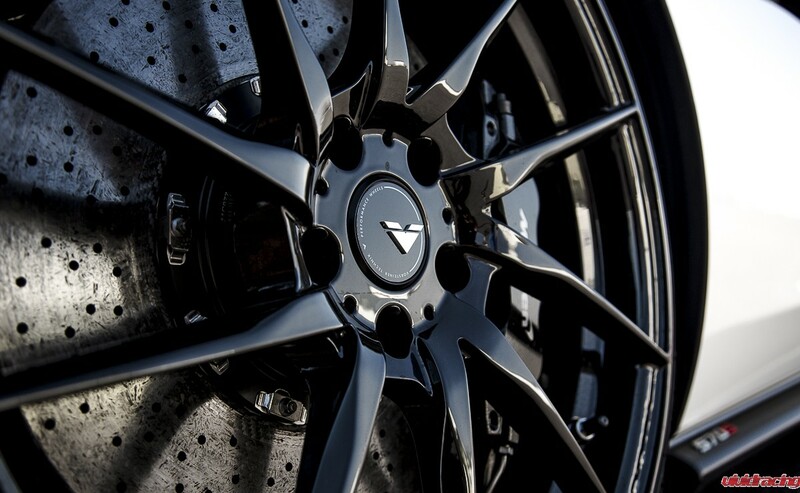 Vivid Racing is an authorized Vorsteiner dealer and has been working with them on our Project Vehicles since 2003. 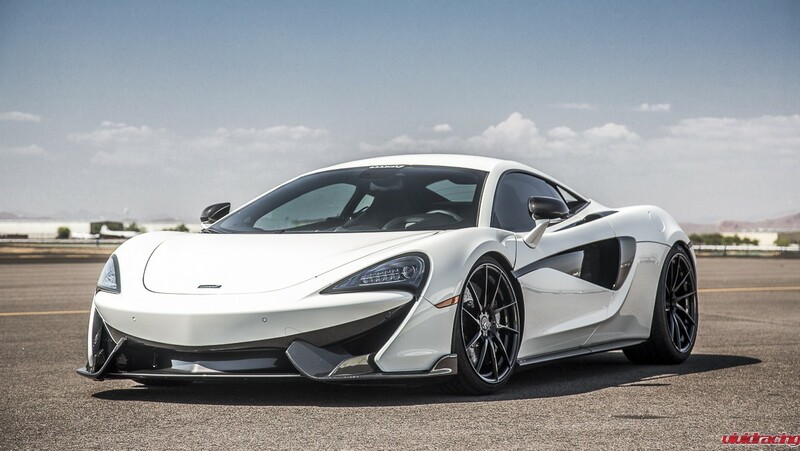 We have showcased many of their applications from the Porsche 997 Turbo, Panamera Turbo, BMW M5 E60, Porsche 991 Turbo, Mercedes C63, McLaren 12C, and more!